Commercial & office cleaning services at second to none...Offering cleaning services, tailored to meet all your office and commercial cleaning requirements. Want a cleaner covering Manchester and the surrounding areas, give us a call. Using the latest techniques and technologies to enable our specialist teams to work on some of the country’s most difficult and demanding buildings. Our post construction cleaning service is a specialist division of Harrison Cleaning Specialists that provides a full range of post construction cleaning services, from builders cleans to sparkle cleans, to builders and the construction industry. Harrison Cleaning Specialists are a local commercial cleaning company specialising in commercial and office cleaning. With a local knowledge of Manchester and the surrounding areas, a tight infrastructure, high level of customer service with over 50 years experience. Want a reliable office cleaning service? Harrison’s are the right commercial cleaning company for your business. At HCS we pride ourselves on ensuring our customers feel they can rely on us to provide the highest standard of cleans. Whether that be a small office, large commercial company, end of tenancy or builders cleans. HCS is Manchester’s number one commercial cleaning company for one off cleans and office cleaning services. 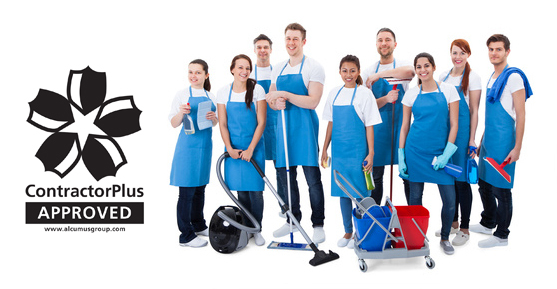 Our cleaners are trained to provide very high standard cleans. Ultimately whatever service you are looking for, we provide you with a cleaning services rather than just a cleaner! If you would like more information, some advice or to book an appointment. Just fill out the short form below and we will call you back. Recommend by my son, brilliant job. Can't fault them. A star service! Friendly cleaner. Couldn't be more happy. Thank you! First class cleaning service! The lady that comes to our office goes above and beyond what is required. Clean office, clean desk, clean cup. Happy workers.